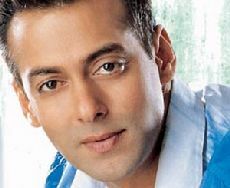 At a recent bash for Katrina Kaif ’s birthday, Bollywood stars Salman Khan and Shahrukh Khan got into a little rift. Now we need to determine if this was planned or not? Shilpa Shetty has turned into an entrepreneur by setting up her won production company named, Shilpa Shetty Global Productions. The first movie to be produced by the new production house will be the film named VIP (2008) , which will also be co produced by UTV Motion Pictures and directed by Manish Jha. The movie will star Shilpa herself, along with Bipasha Basu. While Shilpa’s sister, Shamita Shetty , will not be seen on the screen in the movie but will play key role behind the scene as she is the creative producer for the film. Before it was Kareena Kapoor dieting and exercising to get ready for a role in Tashan and now it's Lara Dutta . Lara will need to were a bikini in her upcoming movie, Blue (2008) , and hence she is in the process of controlling her diet and gearing up on exercises to get in better shape for her time in front of the camera. Lara, former Miss Universe (2000), will be starring as an underwater diver opposite Akshay Kumar in the movie and have also already lost weight for the movie. Other movie that Lara has in her bag is Banda Yeh Bindaas Hai (2008) which is inspired by My Cousin Vinny.